WTF, forms? 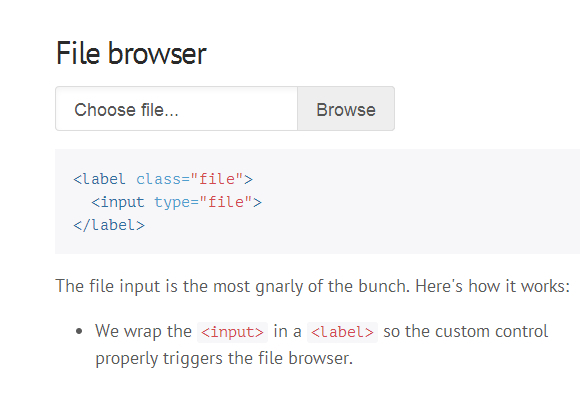 provides friendlier HTML form controls with a little CSS magic. Designed for IE9+, as well as the latest Chrome, Safari, and Firefox. The file input is the most gnarly of the bunch. They wrap the <input> in a <label> so the custom control properly triggers the file browser. They use :after to generate a custom background and directive. It’s an entirely custom element, all generated via CSS.